Häfele provides inspiration and suggestions for individual living. Experience the amazing, exciting furniture and furnishings from our selected partners with unexpected functions on this platform. 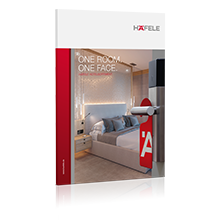 The furniture and furnishings offer multi-functional benefits for your convenience, and have been planned and constructed using Häfele fittings. Let yourself be inspired and contact one of our cabinet maker or joiner partners near you. Häfele is available to you at all times for questions and individual support. Use the relevant contact form to formulate your concerns.